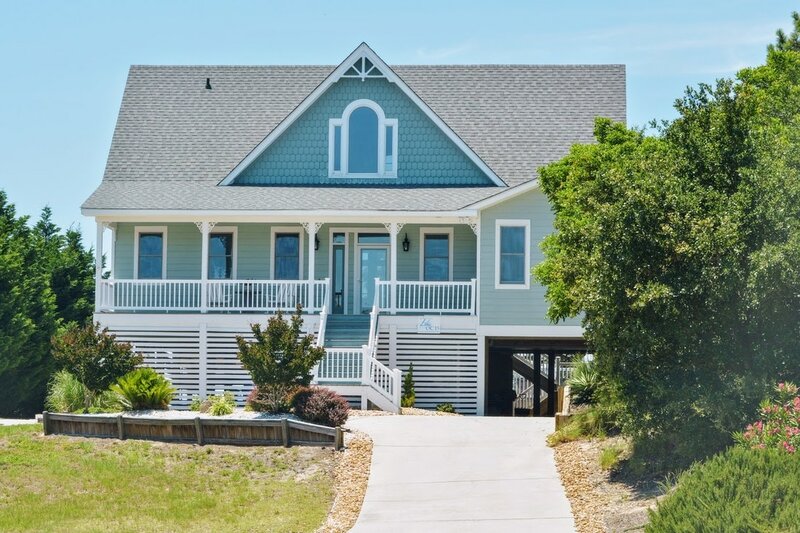 Bella Sound is a beautiful vacation rental home on the Outer Banks of North Carolina. 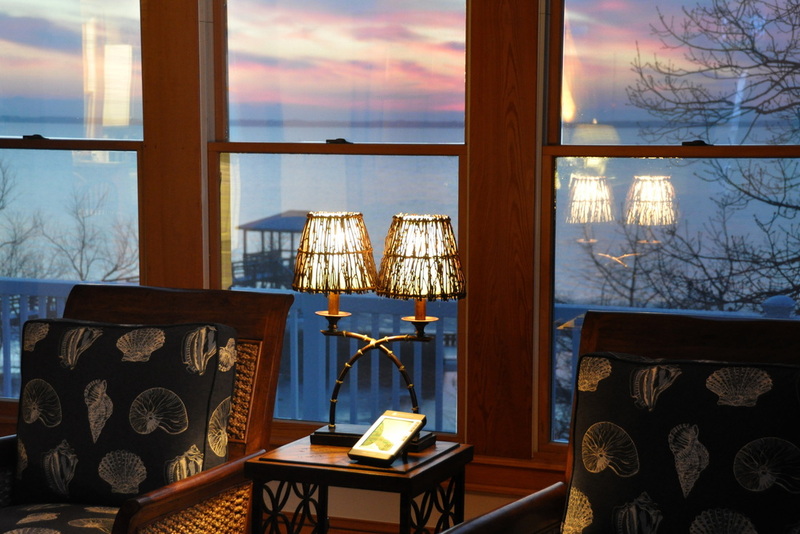 Located on a quiet cul-de-sac in Duck, Bella Sound provides unparalleled views of the sound from every room and sunsets second to none. 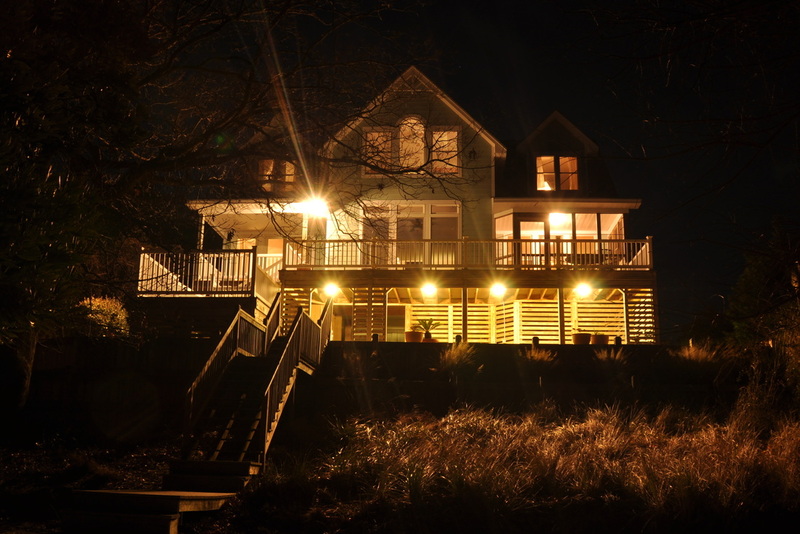 Come rendezvous on the private deck, soak in the hot tub, and go kayaking, fishing, crabbing, or paddle boarding off of your own private sandy sound-side beach. 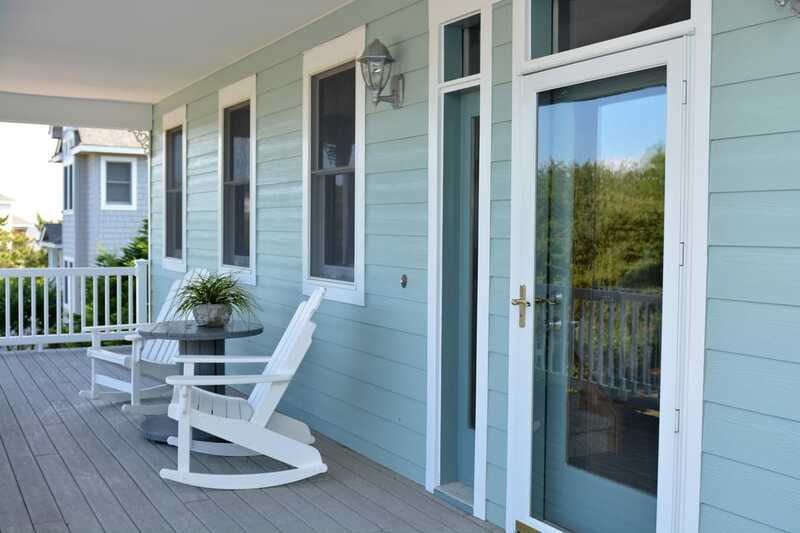 The home is well equipped with everything you might need to enjoy a restful Outer Banks vacation. Duck, North Carolina is a quaint seaside town that boasts 7 miles of clean beaches, locally owned boutique shops, fabulous restaurants, and the Duck Trail - a multi-use path that runs the entire length of town. Duck has been named by both the Travel Channel and America On-Line as one of the best family beach destinations in the United States. “Duck’s relative solitude and its vast array of neatly constructed homes make it ideal for families." - The Travel Channel. There are plenty of places to go fishing on the OBX; avid fisherman will not be disappointed. If no vacation is complete without a round of golf, visitors can play at the nearby Sea Scape Golf Links or Currituck Golf Club. 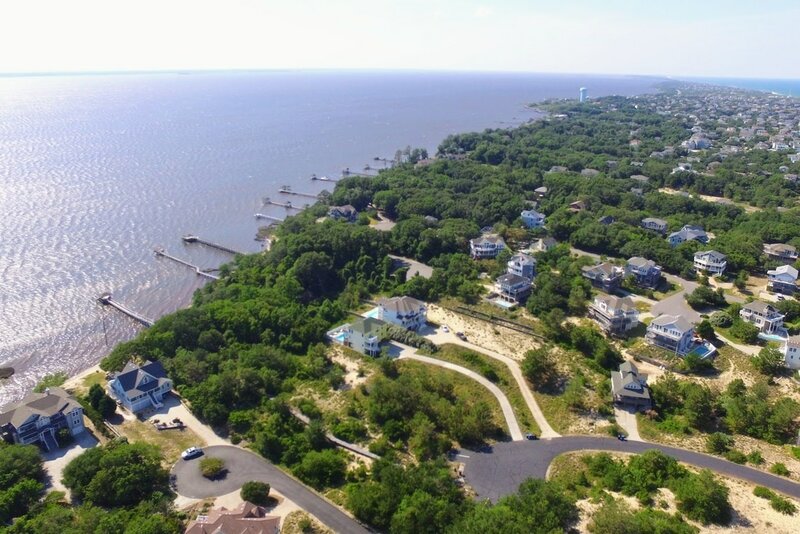 When you are ready for the beach, you can walk or drive from Bella Sound to the private Oceancrest beach access. 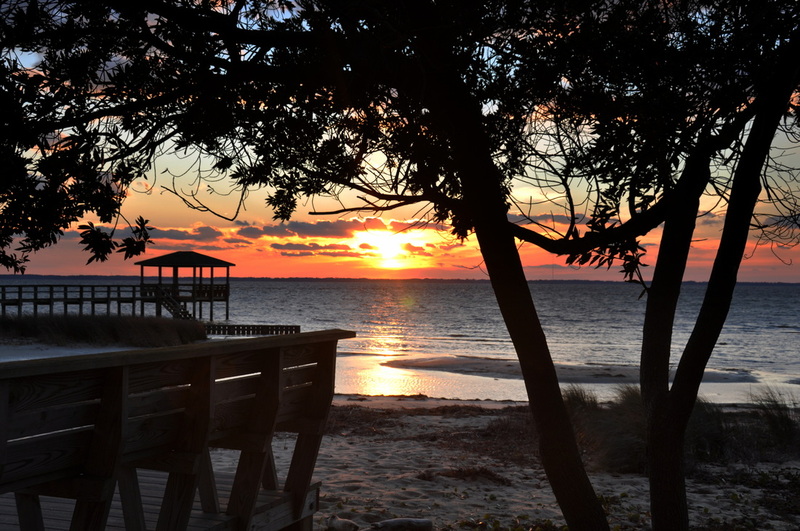 There you will find why the Outer Banks has become known for it’s beautiful and uncrowded beaches. .
Don’t forget to explore the rest of the Outer Banks during your stay at Bella Sound. Even though the house is located in a quiet, secluded community, there are so many great places to see, and things to do. Visit the NC Aquarium, the Wright Brothers Memorial and Museum, any of the lighthouses, Jockey’s Ridge State Park, the Elizabethan Gardens, or the go find the wild horses on Corolla’s 4x4 beaches. We take pride in providing you with with a clean and well maintained home to use during your vacation at Bella Sound. We do try to provide many of the little extra amenities that some other property owners ignore, such as kayaks, bikes, and beach chairs. If you find anything missing in our home that would make your stay more enjoyable, please let us know by sending us a message on the “contact us” page. We do not allow pets in our home due to allergies. Our home can sleep 10 people, but one of those beds is a trundle, and another is a daybed, both of which are more suitable for younger guests. The house sleeps 8 more comfortably. We do not allow events. There are many large homes on the Outer Banks that are built to accommodate weddings, but this is not one of them. Bella Sound has one refrigerator, seating for 10 in the dining area, and parking for four vehicles. 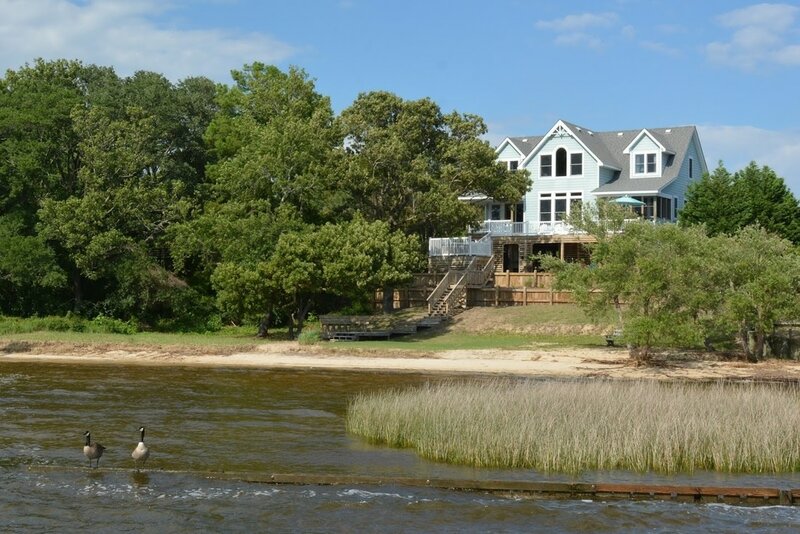 Outer Banks Blue would be happy to help you find the perfect venue for your event.